An exciting residential development opportunity at Beaufort, near Kiltarlity, has been launched by our Inverness office. The 9.3 acre site, set in a scenic Highland location, has planning permission in place for a dwelling house, offering the chance to build a dream home in a spacious and private setting with substantial amenity land. 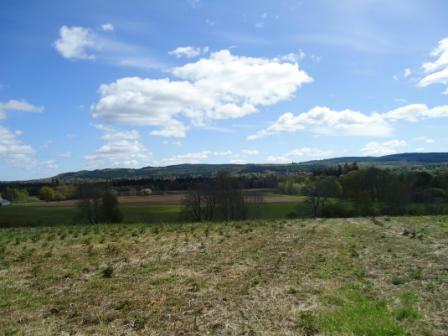 The land is located in the heart of rural Inverness-shire, close to the historic Beaufort Castle, with elevated views across the local countryside and down towards the Beauly Firth. Just 12 miles from Inverness, the property is also highly accessible with good local amenities in the villages of Kiltarlity and Beauly. Initial ground works have already been carried out on the site, which has locked the planning permission into place perpetually. Detailed consent has been obtained for a four bedroom dwelling but this could be changed to a design of the purchaser's choosing. With recent changes to planning legislation, such consent is particularly attractive as new rules would presume against development in a hinterland location such as Beaufort, meaning that similar opportunities are now difficult to find. The remaining land is presently planted with Nordman Fir Christmas Trees, which are due to be harvested over the next four years with a projected income of 66,000. Post harvesting the ground can be mulched and returned to grass or any other use which the purchaser may wish. The land would be ideal for agricultural, equestrian or forestry purposes making this property the dream small holding.